Whether you are planning a wedding, birthday party, or anniversary, wearing trendy jewelry always helps complete your look. For many years, Sarah J. Jewelry has been creating and providing trendy women’s accessories for everyone in Portland for all styles and looks. 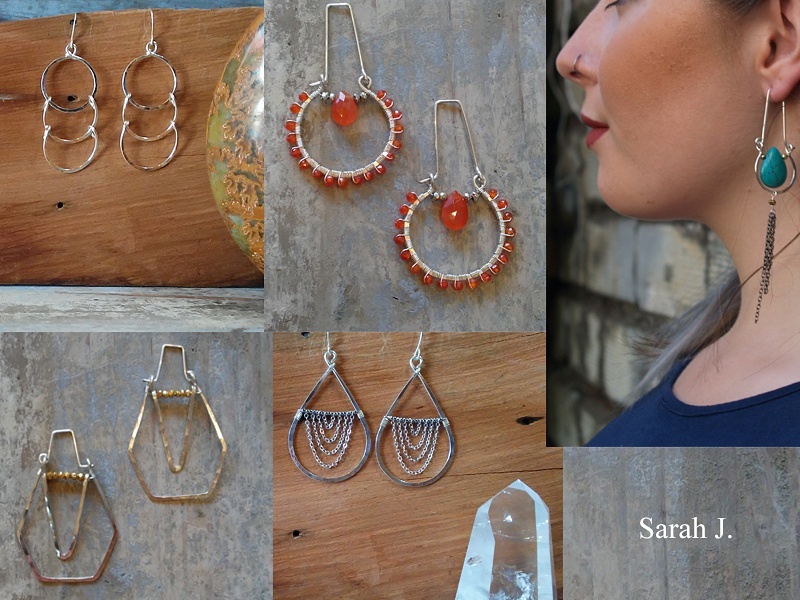 Here are some of the best things about Sarah J. Jewelry that we always look for in our accessory lines. Quality is a big plus when it comes to accessories as it will last for a longer time. All Sarah J. Jewelry is handmade, shaped, hammered, and wrapped right here in Portland. Over the years, we continually evaluate the quality of each product we carry. This ensures we offer the best lines to our fashionable seekers. By shopping with us locally, you are guaranteed the best finds. All of our accessories fit every individual style and budget. We have networked with local professional suppliers who provide us with contemporary and exciting new jewelry at affordable prices making us the leading women’s accessories store in Portland. We know the need for different types of accessories and clothing for the casual to dressy look. 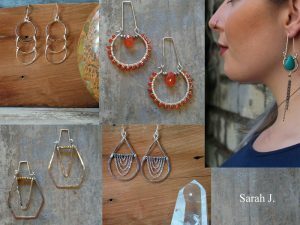 In addition to creative, locally-sourced jewelry like the Sarah J. Jewelry line, we also carry other designer brands from some of the biggest names that give you the perfect finishing piece for any occasion. We have a trendy team that is always ready to help pick out the perfect piece and give the best styling advice. Our team is well versed in the lines that we sell and keep up with the latest fashion trends. Come see us today to find upscale, unique, and affordable women’s accessories in Portland. We have something for everyone to bring out any trendy inner style!